This allergy, asthma and immunology learning center is meant to equip you to manage your own care, or the care of your loved one if you are a caregiver. Over time, this page will give you access to some of the most valuable, useful, and interesting content from our Allergy and Asthma Blog, from our website articles, and even our online and offline newsletters and communications. It will serve as an online archive for valuable tidbits you can use. 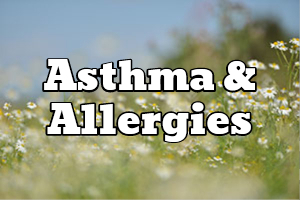 In addition to Allergy & Asthma information & resources, you'll also get access to information on the conditions we treat, our seasonal Alpha Alerts and Advisory notifications, links to our administrative assistance pages, and more. Gluten Sensitivity vs "Gluten Allergy"
Asthma information and resources will also be prominently linked to from this page. There are many questions about asthma that get answered during your first visit to our Silver Spring, Maryland Allergy & Asthma clinic. However, as part of our broader mission to inform and educate, we will make as many informational resources as possible available online. What is Asthma? What causes it? What are the symptoms of an Asthma Attack? How is asthma diagnosed (or "What is Asthma Testing Like?")? 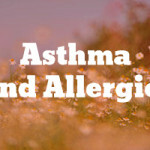 "What is Allergic Asthma (or "What is Allergy-induced Asthma")?" and "Should I get a Nebulizer?" The resources you find on this page will help you navigate these and many more questions. Asthma management plans, Asthma FAQs, Asthma Myths and commonly made mistakes, What Causes Asthma / How Asthma Works, Asthma Symptoms, Asthma Statistics, Asthma Testing in Infants, Exercise-induced Asthma, Asthma & Allergies, Cold-Induced Asthma, Managing Asthma in Flu Season, Back To School Asthma Management Plans, Asthma Attacks, Lung Function Testing, Asthma Diagnosis, How Our Asthma Doctors Were Trained, Choosing Your Asthma Doctor, Asthma Management, Peak Flow Meters, "Do You Have A Nebulizer At Home? ", Asthma Management Plans, Defining Optimal Asthma Health, and much more. What are Allergies? 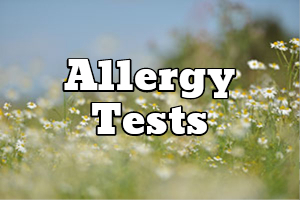 Allergies vs Sensitivities, "What Causes Allergies? ", How Allergies Work, Allergy symptoms, Antibodies in Allergy, IgE in Allergy, Allergy & Immunology, Severe Allergies, statistics (Food Allergy statistics in particular), Choosing an Allergist/Immunologist (or Allergy Doctor), Allergy Testing, Skin tests, Scratch Tests, IgE in allergy, How Allergy Tests Work, How Allergy Tests Are Interpreted, Food Challenges, Managing Food Allergies, Allergy Shots, Anaphylaxis prevention plans, Epi-pen, Auvi-Q, Antihistamines, Epinephrine, Antihistamines, Nasal Antihistamines, Nasal steroid sprays, Natural remedies and natural remedy myths. What is Allergic Rhinitis, Sinusitis & Allergies, Atopic Dermatitis, Contact Dermatitis, Hives / Urticaria, Urticaria Symptoms, Swelling / Angioedema, Immune Deficiency Disorders, Primary Immune Deficiency Disorders (PIDDs). Allergen Immunotherapy, Anaphylaxis Intervention, Aspirin Desensitization, Drug Allergy Testing, Drug Challenges, Environmental Allergy Testing, Food Challenges, Food Allergy Testing, Patch Testing For Contact Dermatitis, Pulmonary Function Testing (Spirometry), Rush Immunotherapy, Stinging Insect Allergy Testing, and more. 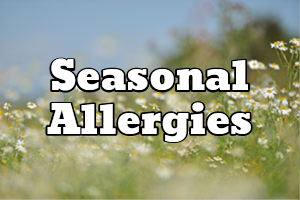 The Spring Allergy 2016 series has launched!